World War Z is Contagion For Dummies. When I saw it in theaters, I thought the problem was simply that the film dumbed-down its zombies to fit a PG-13 rating (and the trailer spoiling all the big visuals certainly did nothing to help). Essentially, I found that none of the film had any lasting impact, and I assumed that this was caused by the producers and the MPAA neutering the film to reach a wider audience. So I decided to give the unrated cut a try. If anything, the unrated cut is worse. Here's the difference: fake digital blood splatter. The extended scenes look like they were cut from 300: Rise of an Empire. 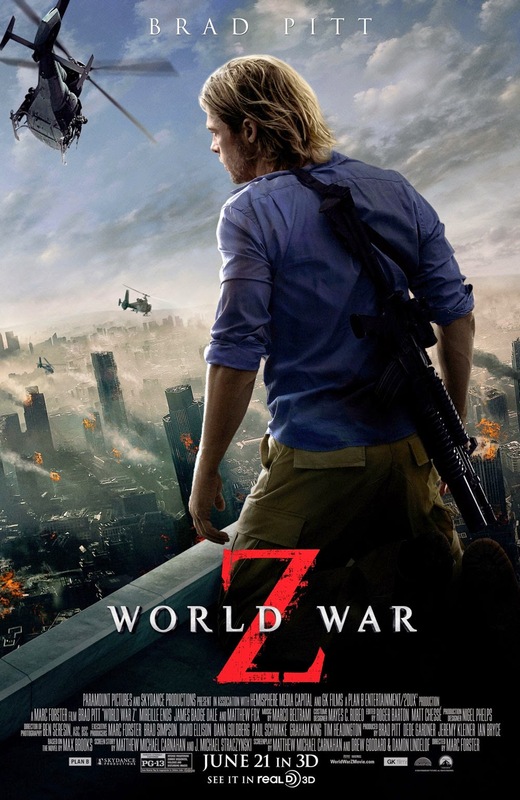 To be fair, World War Z turned out much better than it should have. Considering its troubles in production (eg. completely rewriting the ending in post) it's impressive that the movie even came out at all. It's just that the things it does succeed at are exactly what I'm not interested in. It's loud, fast, erratic, frantic, chaotic, and uncontrolled. It's an action movie with jump scares instead of action. Brad Pitt and his Chanel N°5 hairstyle run from set piece to set piece with nothing but exposition in between. The computer animation does look very good though, and the well paced editing makes it so exciting that you might not notice nothing's happening. There are even some fragmentary scraps of the novel's political message buried for anyone willing to do some digging. But beyond these small concessions, it's hard to find ground on which to recommend this doomed creation. Maybe they'll have better luck bringing the material to life next time.